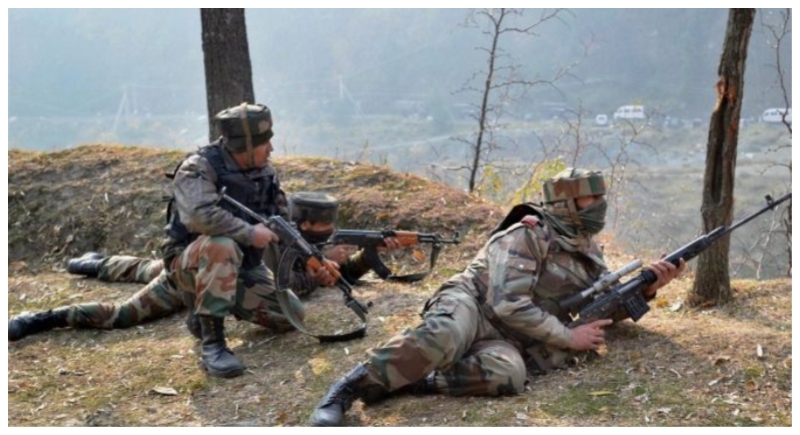 Jammu, May 22: Pakistani forces again resorted to heavy mortar shelling in RS Pura, Arnia and Ramgarh sectors along the International Border in Jammu and Kashmir. BSF sources said that Pakistani Rangers resumed heavy mortar shelling in Arnia sector around 7 PM on Monday after a few hours of break. Later, Pakistani troops also opened fronts in the adjoining Ramgarh and RS Pura sectors. BSF has given befitting reply to Pakistani shelling. On Sunday, Border Security Force (BSF) and Pakistani Rangers had a telephonic conversation to appeal stopping retaliatory fire after India inflicted heavy damage to Pakistani side for starting unprovoked firing. At around 10:30 in the on Sunday night at Nayanpura of Ramgarh Sector, Pakistanis aimed at small arms and mortar shells and the BSF advance posts were targeted. BSF troops effectively retaliated to the Pakistani firing. Pakistan had urged the BSF to stop firing on the international border in Jammu. In fact, Pakistan had fired at the posts of residential areas and BSF in Jammu in the last days, in which four BSF jawans including a BSF jawan were killed.